Hello Guys,A lot of computer users spend much of their computing time on the web. Maybe you use Gmail, Facebook or Twitter. Maybe you read many different websites. Some of us are weather watchers, while others like to shop online. With Pokki, you can do all of this (and more), right from your Windows 7 Taskbar. Windows 7 taskbar is already popular with its features whichincludes pinning and jumplist capabilities. You can pin any app to the Windows 7 taskbar, but with Pokki, a new freeware tool, you can pinwebapps to Windows 7 taskbar. 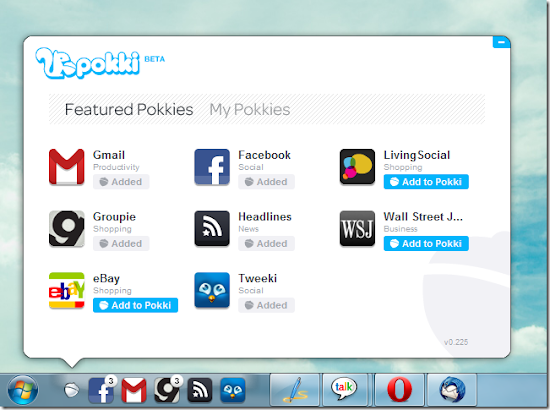 There are various web apps included or available in Pokki and these run on top of Pokki. It is designed using HTML5 and allows you to access these web apps easily from the taskbar. 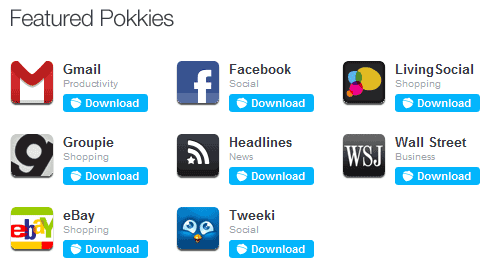 Currently there are only few apps available under Pokki, whichincludes Gmail, Facebook, Twitter App, eBay and few other sites. You can easily access these services from the taskbar in a beautiful interface. Once installed, they appear as icons on the taskbar and pops out when you click them, enabling easy access. 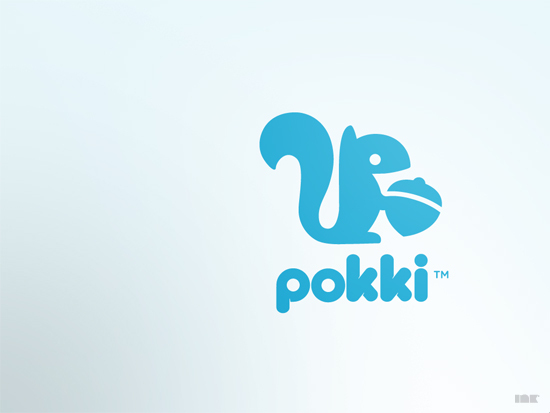 If you are a web developer, you can also create a Pokki app using the API and add itto the list once it is approved. Pokki looks very promising from the initial stage itself, if they can bring in more app it would be one of the best apps to access all web apps in one place.